Feather, 29 years young owned by Myra Toth, Ojai, CA. 20 years after EPM, Feather is living a good life. FOSH is the acronym for the Friends of Sound Horses. The organization is incorporated as a public benefit humane and education organization. Its purpose is to provide information to the public about the humane care, treatment and training of gaited horses, with a special emphasis on the Tennessee Walking Horse, and to promote the exhibition of the flat shod and barefoot Walking Horse at competitions designed to showcase the natural gaited pleasure walking horse. FOSH also actively supports versatility events and has its own Versatility Program. FOSH is operated by a Board of Directors, selected from concerned owners and exhibitors across the country. There are no paid staffers. All work done for FOSH is done by volunteers. The efforts of the organization are funded through private contributions. The Directors have, on average, more than 20 years involvement in the Walking Horse industry. In addition to its sanctioned show circuit, FOSH also operates a judging program known as the Independent Judges Association (IJA). 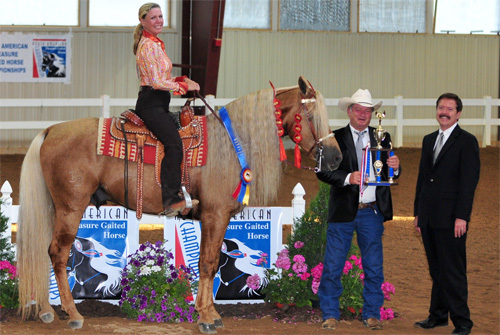 Carefully selected and trained judges include many professionals who have multi-breed licenses in addition to their specialization in gaited horses. For information about this program please email IJA@fosh.info. FOSH takes an activist role in the fight against the soring of the Tennessee Walking Horse. FOSH offers a USDA certified inspection or DQP program to both FOSH sanctioned shows and other shows wishing to ensure compliance with the Horse Protection Act. There is more information about this program on our web site under Programs menu or contact dqp@fosh.info. 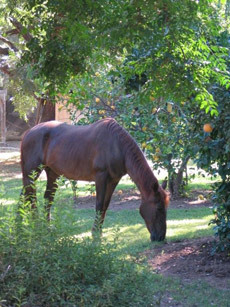 The organization publishes a bi-monthly newsletter, provides humane literature to equine fairs and events, operates a website, places speakers for horse related events, participates in public education and outreach programs, and acts as a source for journalists and humane groups interested in the enforcement of the Horse Protection Act. Over the years, the scope of the Board has grown to encompass a wider geographic basis as the program has grown but the goals are still the same. FOSH implemented a non-voting membership program in 2004. We hope that the programs developed and offered by FOSH will be just what you are looking for. We have no amateur cards to buy, and only one agenda-what's best for the horse and the betterment of the breed. If you are a friend of the sound horse, you are a friend of ours. What about claims that FOSH is like PETA?